1000 Palestinians are dead in Gaza; 42 Israelis dead. Most of the 1000 are civilians and children. 40 of the 42 Israeli deaths are from the IDF (Israeli Defense Force). 5870 Palestinians are wounded and medical supplies are scarce while Israel forces has intensified the bombing of the tunnels and the enforcement naval and air blockades. As of this morning: U.N. Security Council demands humanitarian cease-fire in Gaza with the US voting for this temporary ceasefire. Four days ago the U.S. casts lonely vote against establishing war crimes inquiry in Gaza with 17 countries abstaining. 1) Hamas is tactically dumb to lob rockets into Israel (Iron Dome is working quite well and Hamas should know it will only bring a strong counterforce). 2) Israel is using disproportional response which is probably against Internatioanl Law and is clearly immoral (worse than being dumb, imo). Keith, I agree with much of what you've said. I think the Israeli government has the right to defend itself but I don't believe that a strategy that kill hundreds and hundreds of non-combatants is a moral solution. Before the Gaza response Israelis were not being injured. I would think that allows for a more cautious and proportional response. Hamas is foolish beyond belief. But the population of civilian Palestinians is caught right in the middle of this mess. Timothy Bonney wrote: Keith, I agree with much of what you've said. I think the Israeli government has the right to defend itself but I don't believe that a strategy that kill hundreds and hundreds of non-combatants is a moral solution. Before the Gaza response Israelis were not being injured. I would think that allows for a more cautious and proportional response. I agree on all counts. What a sad situation this has become. I also agree on all counts, but there is one additional fact. It started with the death of three presumably innocent teenagers which enraged the Israelis. Then some Israeli fanatics killed a Palestinian in reprisal. Then the Israeli police caught the fanatics who are now awaiting/being prosecuted for murder. This is where the whole thing should have stopped, but it did not. And it escalates. Following up on James' post, Israel has now admitted they knew that Hamas was not responsible for the deaths of the 3 teenagers. I'm not sure when they knew. Neil Heath wrote: Following up on James' post, Israel has now admitted they knew that Hamas was not responsible for the deaths of the 3 teenagers. I'm not sure when they knew. Yes, they weren't killed in Gaza. That isn't to say there aren't Hamas outside of Gaza. But the events are likely unconnected. Despite removing 8,000 settlers and the military infrastructure that protected their illegal presence, Israel maintained effective control of the Gaza Strip and thus remains the occupying power as defined by Article 47 of the Hague Regulations. To date, Israel maintains control of the territory’s air space, territorial waters, electromagnetic sphere, population registry and the movement of all goods and people. Largest spikes in Hamas rocket firings came after unprovoked Israeli action during cease fires that Hamas had honored. Namely the Air Strike in Nov 2008 and the assassination of King Jaabari (Hamas’s military commander) in Nov 2012. Read about history of Israeli assassinations here. Minimize to see whole plot. I’m not claiming Hamas has always been in the right - note the buildup of rocket firing prior to 2008. 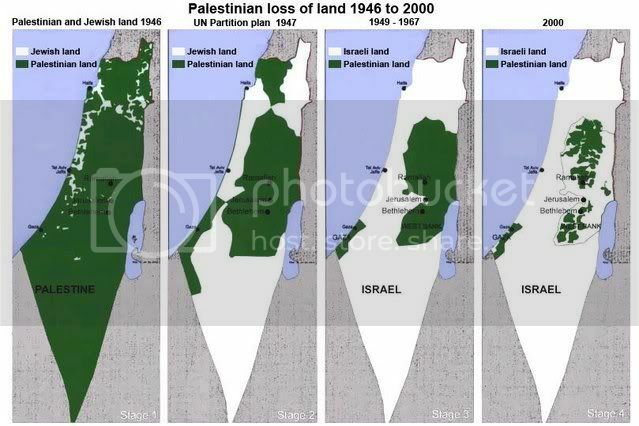 But the myth that Israel is just “defending itself” is far too simple. Recent history shows that they have been the ones that started the worst exchanges when cease-fires are in effect. As far as the very recent flair-up, the 3 West Bank Israeli teenagers who were killed were done so not at the direction of Hamas but a renegade branch. Netanyahu knew (he now admits according to Neil post above) that but used the opportunity to escalate things. Here’s some more myths about the situation. Keith, you have a marvelous capacity to fall for propaganda of every sort. Actually, you're easy prey to propaganda. If you actually believe Noura Erakat is an unbiased, honest broker of truth, you're living in a veritable fantasy world. Don't think for a minute that everything that comes out of Israel is truthful, and not propaganda either. Israel's bottom line is the billions in aid they receive from the US, and they are good at exploiting the prejudices and religious bias of America, in spite of the fact that Israel is actually a secular state, and not a Jewish one. War is evil, and Israel bears just as much responsibility for getting this one going as Hamas does. Hamas exists, and has gained popular support because the policies of Israel, under Netanyahu, have been overly oppressive, and are overkill when it comes to their self-protection. Sandy wrote: Don't think for a minute that everything that comes out of Israel is truthful, and not propaganda either. Israel's bottom line is the billions in aid they receive from the US, and they are good at exploiting the prejudices and religious bias of America, in spite of the fact that Israel is actually a secular state, and not a Jewish one. .
Ed: Sandy it is true that Israel is predominately a secular nation but it is definitely a "Jewish Secularism". Sorry David, but you are not arguing from points made in this debate. For the most part you deride the authors (Noura Erakat and Mehdi Hasan) and Al Jazeera. I find nothing objectionable in the link you provided about Erakat - she is an award winning academic. Hasan is a Muslim journalist in the UK. The fact that he has reported on the Al Jazeera network does not invalidate his thoughts. Al Jazeera is a good news source - most likely you are reacting to its name. Here is their website this morning - not "plastered with anti-Jewish propaganda” with less coverage of this conflict than most news sources. (note this is a dated link). and have effective blockades of Gaza that prevent not only arms but food, clothing, medical supplies from entering, the term makes some sense. My sympathies lie with the Palestinians who have suffered mercilessly at the hands of the IDF for decades. It's hard to nail down Jewish religious practice, since it is difficult to distinguish between Jewish as a racial and cultural element, and the actual belief and practice when it comes to religious tradition. Synagogue attendance, which is probably not as big a factor in Judaism as church attendance is for Christians, involves only 23% regularly, and an additional 22% in an unspecified "occasionally." But that's a Jewish survey of Judaism in Israel which is used to garner support from American Jews in particular, who tend to be much more involved in religious practices. Likewise, the representative government is comprised of only 20% of those Jews who fall into the "practicing" category, much, much less than the Christian composition of the US Congress. And that's under a constitution that limits the rights of those who hold any other religious practice except Judaism. I'd say the 80-20 figure, which is pretty much the common suggestion, 80% non religious, is probably accurate. The state, and its constitution, are clearly secular. Stands at 1650 Palestinians killed (80% civilians, 18% children); 63 Israelis killed (<5% civilians). As Attacks on Gaza's 'Besieged Civilians' Continue, US Gov't Rallies Behind Israel. I can find no other figures to indicated otherwise.